Free Bible Lesson for kids over Mark 2:1-13 with ideas for games, crafts, snacks & MORE! This lesson is from Journeying Through James:A 35 Week Study for Families and Churches. If you enjoy this lesson, you might enjoy the whole curriculum! It is what we are using right now with our Children’s Church, and today I had my boys help me make a video to go with this lesson. I wanted to share the video with you, so, I thought, “Why not share the whole lesson?” So, here it is! Enjoy! 1. Divide into groups of 5-6. Give each group a large blanket. Then have a race to see who can get their blanket from one side of the room to the other the fastest. The catch? One person has to be ON the blanket, and the others have to be carrying it! On your mark, get set, go! Let the teams have fun carrying their teammate to the other side of the room. Repeat this so everyone gets a chance to be the person in the middle. If you do not want to have the kids carry another child, divide into teams of four and put a ping pong ball or balloon on the blanket. The kids need to carry the blanket to the other side of the room. If the ping pong ball falls off, they have to go back to the beginning. Say: Today we are going to be talking about the importance of putting your faith into action. There were some men in the Bible who put their faith into action in a very interesting way, and it involved carrying one of their friends somewhere. We will be talking about that more later. When the kids have had enough, say: What was the problem with this game? Why wasn’t it working? Discuss. This game reminds me of our verses from James for today. Listen to them. Read James 2:14-17. How was this game similar to those verses? Play the game again, but this time the group leaders should step in and help. They should give the kids the cups and pitchers and even help the kids complete the task. When the game is finished, say: What was different this time around? Your group leaders actually DID something, didn’t they? In the same way, we also need to DO something with our faith. We need to put our faith into action! 3. Play a game to help your kids MOVE. Play some upbeat music and the kids need to move around as much as they can while the music is playing, but as soon as the music stops they must FREEZE exactly how they are when the music stops. Then they must hold that position until the music starts back up again. Have fun laughing at some of the silly positions! If someone moves while the music is off, he has to sit down until the end of the game. (In the same way, if he is not moving around while the music is playing, he is out. Be sure to have adult leaders keep a close eye on the group during this game!) Play until you have a winner! Say: This game was meant to get you MOVING! When we follow Jesus, we also need to move. Today we will talk more about what that means! Say: Are you ready to move? Are you ready to put your faith into action and DO something for Jesus? Read James 2:14-17. What kind of faith do you have? Today we are going to talk about some people who put their faith into action. They saw something that needed to be done and, instead of simply talking about it, they came up with a plan and did something about it! Watch this. Paralyzed Man: Hello everyone! I want to tell you something amazing that happened to me. Do you see this mat? This used to be my home! I mean, really . . . it was my home. I spent all my time lying on this mat. You see, I couldn’t walk. I was completely paralyzed. If I wanted to eat, I had to have my friends help me. If I wanted to change my clothes, I had to have my friends help me. If I had to do anything, I had to have my friends help me. All I could do was stay on this mat, day after day after day. I couldn’t DO anything . . . but my friends could, and they DID. They helped me every day! One day, something AMAZING happened! One day, Jesus came to town. Have you heard of Jesus? When my friends and I heard that Jesus was in town, we knew we had to DO SOMETHING! We HAD to get to Jesus! He could make me well again! He could make me walk! My friends decided to DO SOMETHING and they carried me all the way to Jesus. They took me on my mat and they walked, and walked, and walked, all the way to where Jesus was. But when we got there, we saw something horrible. The entire room where Jesus was was packed with people. There was no way we could get in to see Jesus! But my friends did not give up. My friends knew they had to DO SOMETHING! They walked to the roof of the house and started digging a hole! Then they lowered me right down in front of Jesus. There I was, on my mat, right in front of the one person who could make me well! Well, I think you know the rest! Jesus saw the faith that my friends and I had and he rewarded that faith by healing me! Not only did Jesus heal me physically by making me walk, but he also healed me spiritually by forgiving my sins. I have not been the same ever since that day when I met Jesus! I am so glad that my friends and I had the faith that Jesus would make me well . . . but not only that we had faith, but that we DID something about it! If we hadn’t DONE something, I might still be lying on this mat. Before I go, I have one question for you. How are you going to show YOUR faith? What are YOU going to DO? How did the men in this passage put their faith into action? When Jesus saw the man in front of Him, the Bible tells us he saw their faith. How did he see their faith? What showed him that they had faith? Say: Jesus saw their faith by the actions they had done. If they didn’t have faith, they would not have gone through the task of carrying their friend or digging the hole and lowering him down in front of Jesus. They put their faith into action – just like the Bible tells us we should do in James 2:14-17. What are some ways that we can put our faith into action today? Divide into groups. Give each group construction paper strips of various colors. Have the kids in the group select several of the construction paper strips – they are going to be making a mat with the strips! Before they make the mat, however, have them decorate the strips with pictures or words of ways they can put their faith into action in practical ways. Discuss these ideas and then weave them all together to make a mat. You can have the kids make their own mat, or have them make a large one as a group. 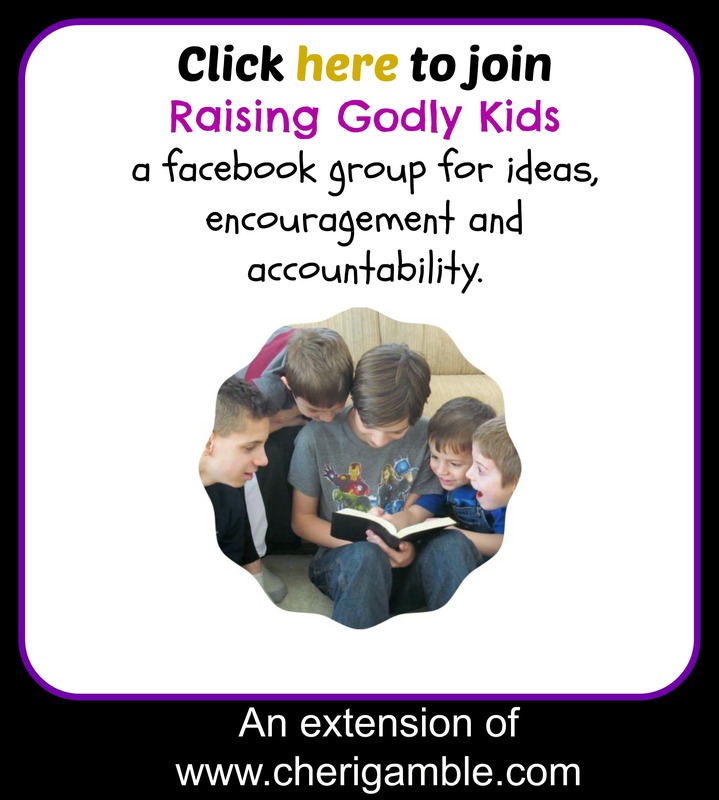 Pray together for opportunities to put these ideas into action. Find directions for how to weave a mat here. 1. Spend time today helping the kids put their faith into action. Organize a service project that the kids can do during today’s time together and carry it out! 2. Help the kids make a craft stick house with craft sticks, construction paper and cotton balls. Discuss how the men in today’s lesson put their faith into action by taking their friend to Jesus and digging a hole through the roof. We need to put our faith into action, too! 3. Make a craft to illustrate the lesson found in Mark 2:1-13. Give the kids graham crackers, frosting, and a variety of colored candies and let them make their own house. Then give them gummy bears, teddy grahams, or E.L. fudge crackers to be the people in the story and a fruit roll up to be the mat (or use graham crackers for the mat) Let them act out the story and then eat the snack. 4. Give the kids pieces of cardboard boxes, construction paper, ribbon, yarn and brads and let them make their own “people”. They should cut out heads, arms, legs, and bodies and connect them all with the brads. The brads will give them moveable arms and legs, and they will be able to make their person “move”. Let them use the construction paper, ribbon, and yarn to make clothes, hair and other accessories. Encourage creativity! Remind them of the importance of MOVING and doing something for God! 5. Have the kids draw pictures of one way they can put their faith into action. Then take an actual picture of them, print off the photograph, and have them cut themselves out of the photograph and glue themselves to the picture they drew. (For example, if a child says he is going to rake leaves for a neighbor, have him draw a picture of a tree, lots of leaves, leaves in a pile, and a rake. Then he will add his photograph to the picture so it looks like he is holding the rake.) Encourage the children to put their faith into action this coming week.